Every musician/ arts administrator/ arts journalist will one day face the difficult task of having to describe the indescribable, and use language to write about music. 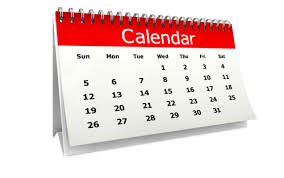 Grant applications, newspaper articles, press releases, Facebook posts, programme notes, project descriptions, radio interviews – and the list goes on – throughout every career, performers must find words to win support for whatever they want to do. 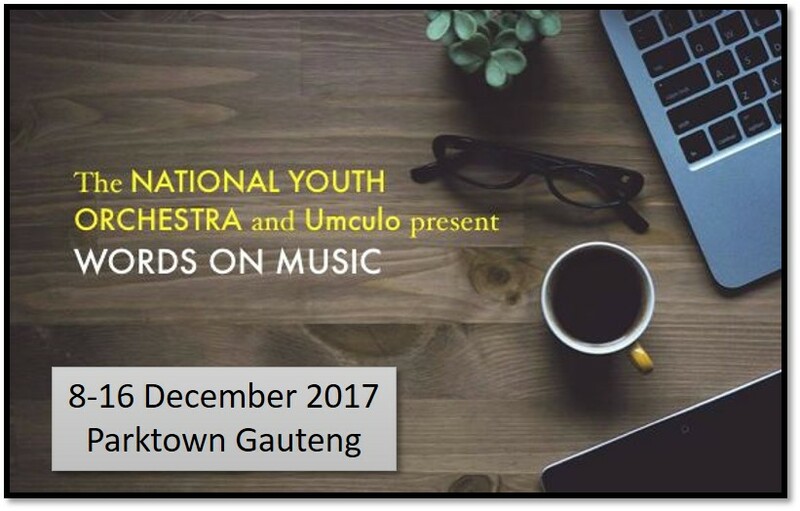 Shirley Apthorp, European critic for the London-based Financial Times and director of Umculo, an organisation dedicated to supporting social change through music in South Africa, will present this intense course that will run alongside the National Youth Orchestra course, on how we help to serve the… bigger picture, and how to find easier ways to make language do our bidding. This course costs R2300 (and includes food and accommodation) and is open to arts administrators, musicians and arts journalists to apply for one of 6 spots! The faculty includes acclaimed South African arts journalist Paul Boekkooi, and BBC producer and fiddle-player Daniel Tetlow. 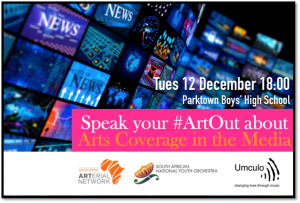 We would like to explore solutions to the problem we face of ever-decreasing arts coverage in the media. We will be hosting a robust debate around the issue where arts jouralists, PR agents, editors and interested parties can come up with solutions to tackle the problem. 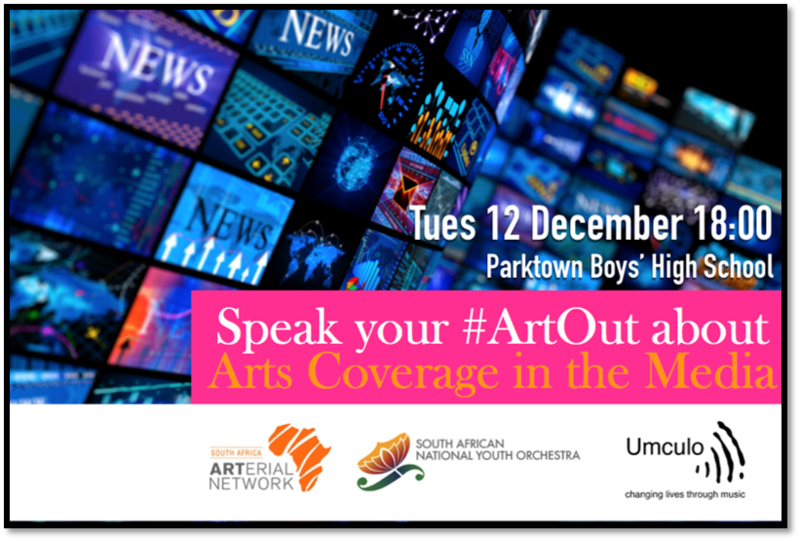 Afterwards we will host an Arterial Network South Africa #ArtOut networking session to continue the conversation, and forge important connections for our music journalists that are taking part in the National Youth Orchestra’s The 2nd What it Takes: Words on Music course.